Natural weight loss tips can help you to lose weight as well as nourish your body. Small changes in your eating, drinking and sleeping patterns can make it possible to lose weight naturally, healthily and easily. Losing weight naturally not only contributes to keeping off weight for the long run, but improves your health, decreasing your chances of having health conditions and diseases including cancer, diabetes and liver diseases. Read our article to find out natural ways to lose weight. From fad diets to anti-obesity medication to certain cleanses, many people trying to lose weight find these unnatural weight loss methods tempting. However, unnatural weight loss methods often only offer short-term solutions and long-term consequences harmful to your body. It’s important to not compromise your health for a quick fix. 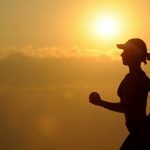 The following natural weight loss tips can help you lose weight, keep it off and boost your health. It’s recommended to drink at least eight 8-ounce glasses of water each day for optimal health. Drinking water has many health benefits, including preventing diseases like Fatty Liver Disease and helping with weight loss. Each time you drink water, your body burns calories to process it. In addition, drinking water increases energy levels so you can workout harder and longer, boosts your metabolism and removes toxins, which helps your liver break down fat. Studies have shown that drinking water before each meal may suppress your appetite and can help you lose as much as two kilograms in 12 weeks without any other changes. How much water you should drink depends on factors like your age, gender, height, weight and fitness level. 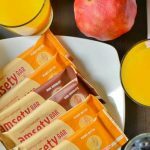 There is truth to the saying, “breakfast in the most important meal of the day.” The Centers for Disease Control and Prevention suggests eating breakfast is a habit of people who lose weight ─ and keep it off. Studies have shown that people who eat breakfast are less likely to overeat, indulge in foods high in cholesterol, saturated fats and refined sugars, plus have overall better eating habits. Skipping breakfast lowers your blood sugar, which decreases your energy levels, resulting in feelings of hunger and impulsive snacking. Choose a nutritious breakfast like an acai bowl, chocolate pancakes or peanut butter waffles. Studies have shown that eating a high protein diet can boost your metabolism and increase feelings of fullness more than eating healthy fats or carbs. The American Journal of Clinical Nutrition suggests that eating a protein rich diet can result in a 400-calorie reduction per day. According to Harvard Medical School, men over 19-years-old should get approximately 56 grams of protein per day, and women over 19-years-old should get approximately 46 grams of protein per day. Protein rich foods high in nutrients and low in saturated fats include: eggs, beans, lentils, tofu, lean meats, fish, nuts and seeds. Substitute red meats, which are high in saturated fats, for healthy alternatives like coconut chicken and lentil stuffed peppers. A Public Health Nutrition study discovered that people who consumed the most sugar had a 54% higher chance of being overweight than those who had a low sugar diet. Indulging in foods high in refined sugars like canned fruits, ketchup and most breakfast cereals, cause your pancreas to release additional amounts of insulin, a hormone that stimulates fat cells to take in glucose, causing weight gain. Reduce sugar in your diet by reading food labels for sugar content, removing sugary beverages like soda from your diet and packing healthy, low calorie snacks for work. 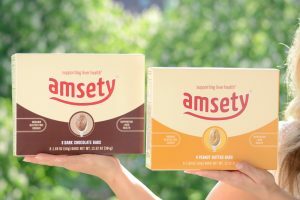 For a nutritious on-the-go snack, try Amsety bars. According to the Centers for Disease and Control Prevention, 1 in 3 American adults don’t get enough sleep. The National Sleep Foundation recommends seven to nine hours of sleep each night for adults. Losing just 30 minutes of sleep can cause weight gain. Sleep deprivation lowers your metabolism and increases levels of the hunger hormone ghrelin and the stress hormone cortisol, which boost your appetite. In addition, lack of sleep prevents your body from processing sugar. A study revealed not getting enough sleep for five consecutive nights can result in gaining two pounds in one week. To improve your sleep, exercise regularly, create a relaxing bedtime routine, keep your sleeping schedule consistent (even on weekends), and make sure your bedroom is comfortable, dark, quiet and cool. 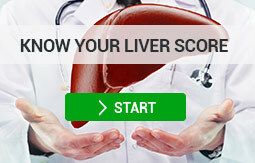 Find out five facts about liver health with Dr. Tarek Hassanein, M.D.